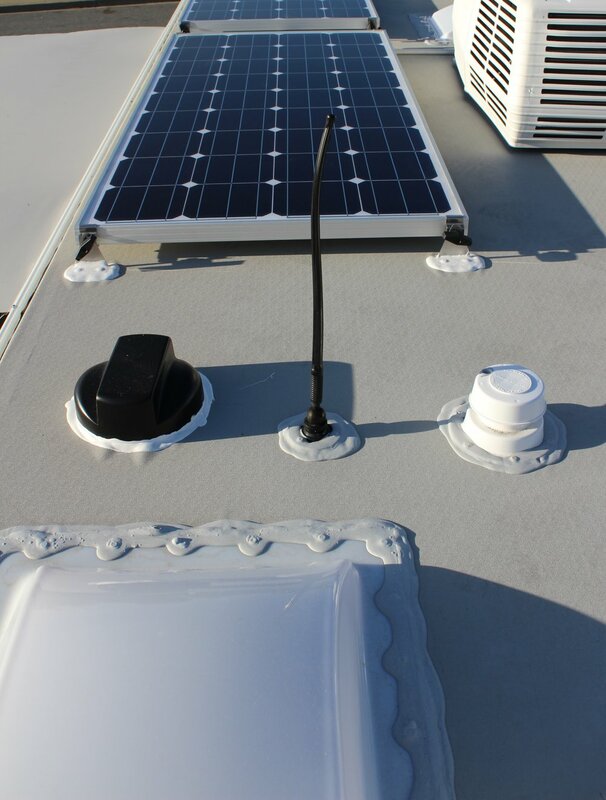 We installed a Blue Sky SB3024IL MPPT Charge Controller w/ remote monitor, shunt, temperature sensor, 3x AM Solar SF160 160w Solar Panels & Roof Combiner Box. To support this customers need to stay connected for his small business, we installed a Cradlepoint IBR900 Series cloud-managed device w/ 3G/4G LTE integrated modem and WiFi capability coupled with Panarama 5-cable MiMo 3G/4G Cellular, GPS & WiFi antenna. Finally, we installed a Fantastic fan/vent cover and MaxAirII fan/vent covers.